£8,936 for Audiology equipment for children. £1,200 to Bolton Lads & Girls Club. 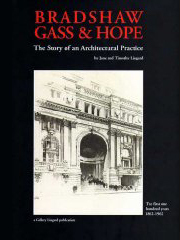 The Bradshaw Gass Trust was founded in 1939 by John Bradshaw Gass a founding partner in the Bolton Architectural practice of Bradshaw Gass & Hope. The Trust provides donations and grants to specific organisations specified by J B Gass in his Will with the Trustees having a degree of discretion over the distribution. Click here to download a PDF of the most recent abbreviated accounts. A full set of the accounts may be obtained by email or by writing to the address of the Trust.